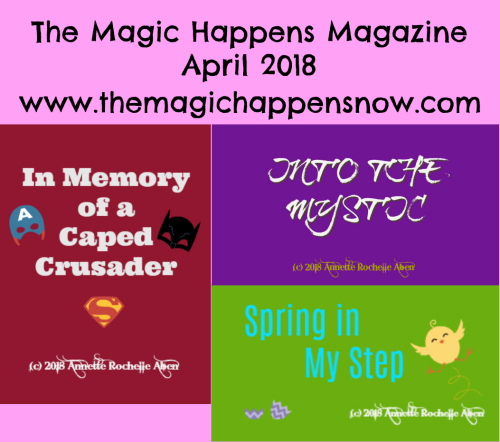 Please, check out the new edition of The-Magic-Happens-Magazine! Come and enjoy the musings and mutterings of our world-wide writers. They were provided with 3 prompt words this month for the Theme Articles. Of course, the prompt words can be used to write any of the other articles, Personal Columns, Inspired To Do and Reviews. It is the decision of each writer.